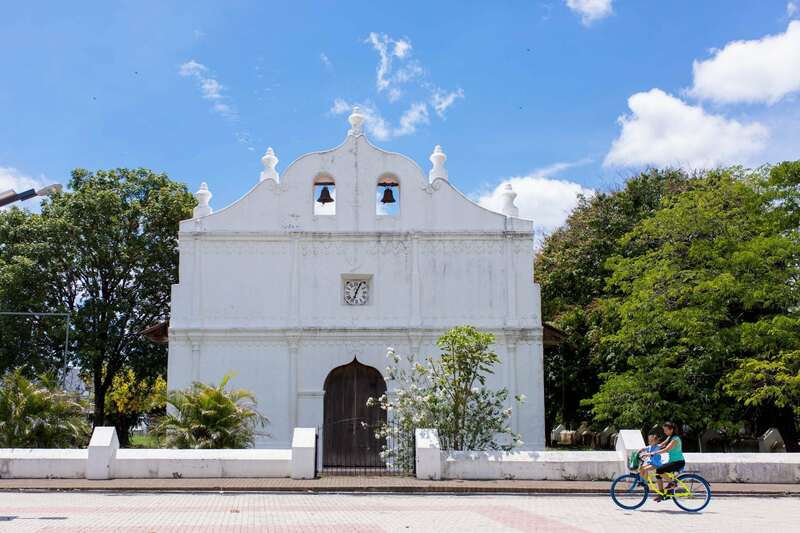 La iglesia San Blas de Nicoya fue una de las primeras construidas en el país y está ubicada donde se conformó la primera parroquia de Costa Rica. How do I understand the large water project that will be built in Guanacaste? Here you have a few answers. It’s called Paacume and no one has assured us yet that this water will be used responsibly. Where do the names of our cantons come from? The name of the colonial city of Nicoya, for example, honors Nicoa, the most powerful Chorotega indian chief in the region during the 16th century. What are tourism companies looking for when hiring Guanacaste talent? At the end of 2016, we told you that tourism companies that want to fill their positions with local talent find few bilingual candidates, college graduates or specialists in customer service. 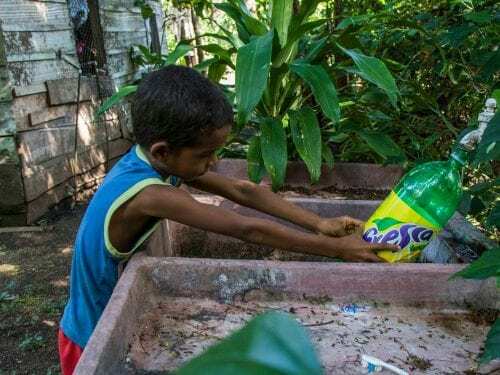 Cities don’t collect trash from 122,000 people in Guanacaste. They were forgotten in city trash collection plans in the province. None of the eleven cantons that exist offer collection to 100 percent of its population. The silent fight of Guanacastecan women against domestic violence. The report of more and more cases of violence against women in Guanacaste could have two causes. One hypothesis is that women are suffering more violence. The other is that they have more information at hand to be able to take aggressors to court. Both could be happening simultaneously. Mariana is not just another number; Mariana is a life. Mariana Leiva was seen, as she was every year, during the annual parade at the Liberia festival on March 4, riding Cacique, one of her beloved horses. Liberians and visitors saw her, perhaps without knowing her, but they surely saw her as smiley as ever, doing what she most loved. No one thought and no one knew that the following day La Negrura, as Mariana was called, was going to be killed. Mariana Leiva was 36 years old and an animal lover. She was the first victim of femicide in 2018 in Guanacaste. Working mothers who break the mold Eight of every 10 mothers in Guanacaste never finished high school. Of them, at least three completed grade school (44.7 percent). On the other extreme, only 17 percent finished college. 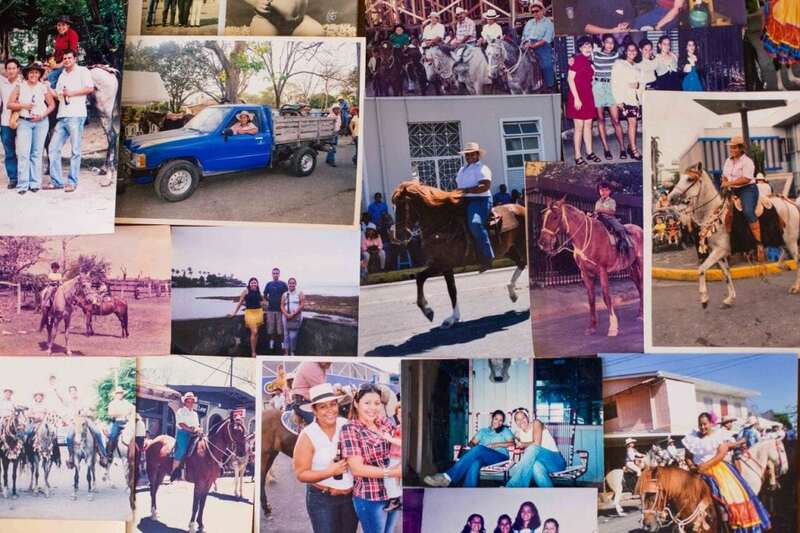 In this story we tell the tales of three Guanacastecan women who, thanks to the support of their families, are proud profesionales while being young mothers at the same time. Death wears gold in the Abangares mines. Dozens of residents of Abangares work in the tunnels and wells of the mines that, at one point, belonged to large companies that extracted this material. Today, they are basically ruins. Why do they risk their lives everyday? 40 years of struggle. The scars of Nemagon. The poverty suffered in the province in the 1960s drove 5,000 people into the banana fields with the hope of improving their lives and those of their families. As part of their jobs, they used an agrochemical called nemagon, which ended up damaging their bodies and their lives. Sugarcane production grows, but benefits fewer producers. The smallest sugarcane producers in the province are disappearing as other larger ones gain ground. Between 1973 and 2014, the province lost an average of 20 producers per year, but sugarcane production grew uninterrupted for at least 50 years. In the last 60 years, planted sugarcane land grew from 1,323 hectares (3,270 acres) in Guanacaste to more than 35,700 (88,210 acres) in 2013. Bonus: Do you want to know more about the sugarcane crop? Papagayo’s largest investors stashed money in tax havens. Costa Rican corporation Florida Ice & Farm (Fifco) and U.S.-based Schwan Foundation controlled many of their million-dollar investments in the Golfo de Papagayo tourism development through a network of shell companies created in tax havens. Companies stashed their loans, earnings and transactions in havens such as the Bahamas, British Virgin Islands and the Cayman Islands, which are outside of Costa Rica’s jurisdiction and don’t charge taxes for such activities. The seven commandments that sink Papagayo. Why are Guanacastecans indolent about the development of Papagayo in Liberia? We looked into this question and found that 46 years after its creation, the development drags on and creates “commandments” that prevent it from fulfilling its commitments to faraway villages. The kidney epidemic that kills Guanacastes farm workers. Chronic kidney disease has killed 1,744 people in Guanacaste in the last 23 years and the number keeps rising. The province, which has the smallest population in the country, accounts for 26 percent of those hospitalized for this illness. Bonus: 22 portraits show the story of Guanacastecans that suffer from chronic kidney disease for non-traditional causes. President Carlos Alvarado Quesada spoke with journalist María Fernanda Cruz on Sunday, July 22 at The Voice of Guanacaste office in Nicoya. An interview with President Carlos Alvarado about issues affecting Guanacaste. 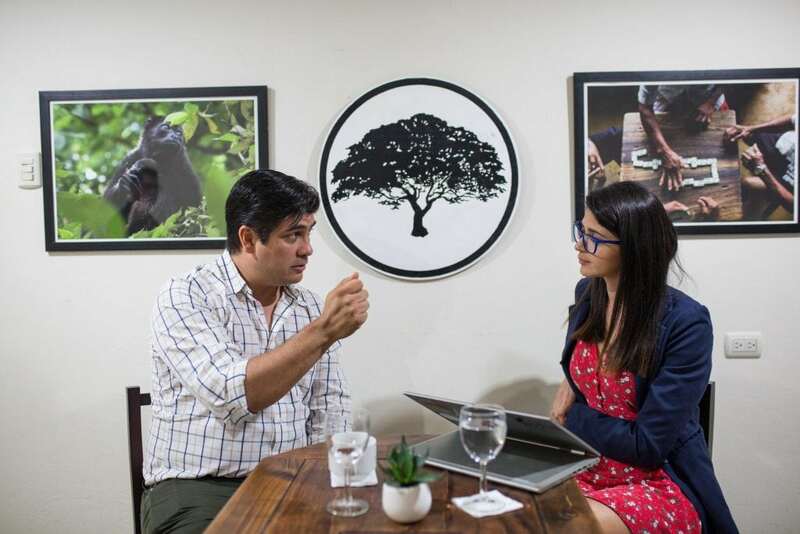 The Voice of Guanacaste interviewed President Carlos Alvarado, not to talk about the inauguration of works, but rather to ask him about the issues in the province that no other media outlet is talking about, such as domestic violence, therapeutic abortion, chronic kidney disease and illegal water wells. If you haven’t seen it, here is a transcription of it. Río Tempisque, half a century of (almost) blind concessions. Río Tempisque concessions were granted – and kept being renewed until 2015 – based on data the government collected between 1951 and 1969 when farming was done on a small scale, the population was much smaller and the and number and depth of existing wells was lower. Therefore, the amount of water drawn from aquifers related to Tempisque was also less. Guanacaste produces 8.7 times more water for human consumption than it needs. There is no shortage of water. 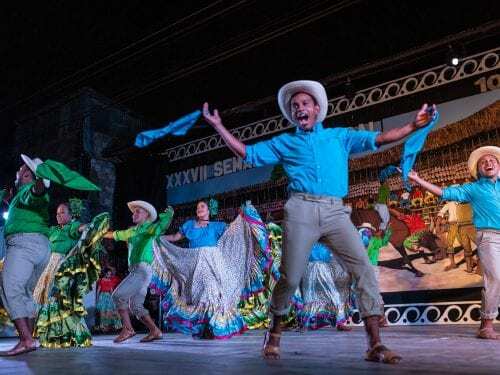 But despite the fact that there is water for everyone, Guanacaste has problems supplying this prized liquid to its people and there are several battles – many of them in court – among residents. What is causing the water wars? It’s possible that a large portion of these liters of water are being used for purposes other than those intended, that the service – pipes, tanks and pumps – is not of good quality or that the wells simply aren’t using their full capacity. 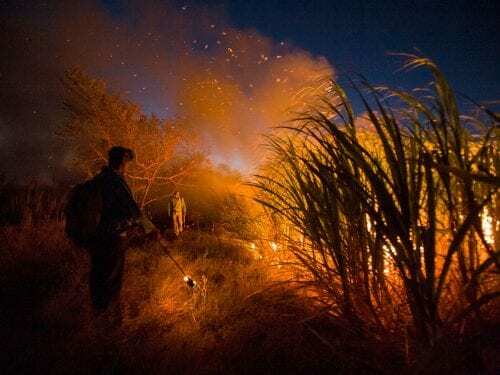 Guanacaste ranchers face the consequences of climate change. The process used for years to raise, feed and slaughter cows is one that uses the most potable water in Guanacaste, and the province is home to at least 323,700 cows. Data from the National Underground Water, Irrigation and Drainage Service (Senara) reflect that ranching uses the second most number of wells in Guanacaste, with 1,346 wells that produce 595 million liters per day. Leonor Ruiz carries the 27 heads of cattle that she has on her farm. During weekends, her child also helps her. Risk of arsenic still latent in Bagaces. The situation is currently the same as at the beginning of 2017 when we published this story. AyA insists that it keeps arsenic within the limits allowed by the World Health Organization. The immigrants still in La Cruz have had to overcome obstacles that you can’t even imagine. This is the story of Matthew Oyumare and Mohamed who, just over two years ago, crossed six countries to reach Costa Rica and now dream of one day living in Canada, having formal jobs and forgetting as much as possible about the journey that brought them here. Bonus: How did migrants from Haiti and Africa live during the migrant crisis in Guanacaste? This is what the first time was like for seven Guanacastecans who told us about their first sexual encounter in a province that, at times, is as conservative as ours. What is life like for a gay marriage in Guanacaste? Keith and Albert, a foreign couple that settled in Junquillal, feels that the province is advancing in the inclusion of people from different sexual orientations. “There is a new generation, those under 20, that are more public and more open. They come out of the closet earlier and live happier,” Keith said. Bonus: A diverse family doesn’t go against the tide in the province.